While a Wunderkammer can be a flashy exultation of wealth, one can see the hubris of human consumption by following nearly any path off asphalt in the Mojave. Artist Karyl Newman has been mapping, photographing and collecting our consumptive detritus since 2013 as DEHSART.com (trashed backward). 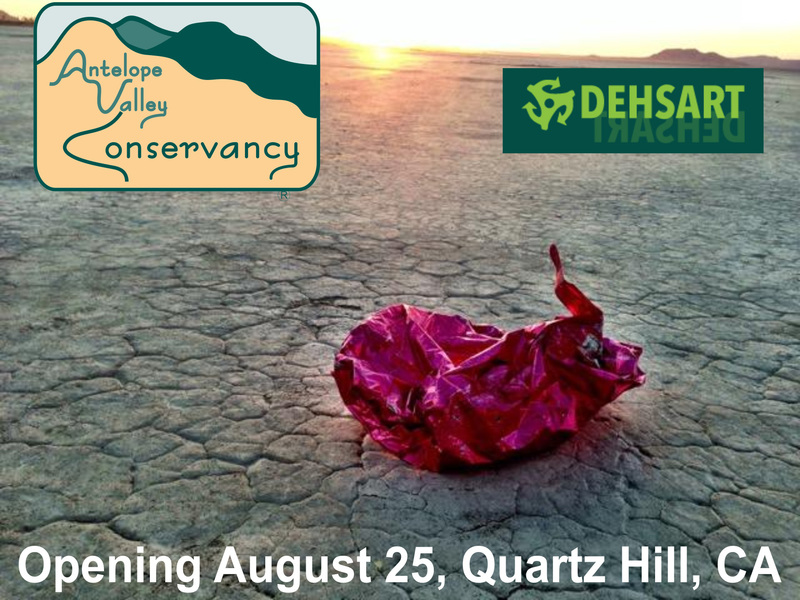 At the Antelope Valley Conservancy, as part of MaidenLA, a selection of objects from the archive will be on view along with images of their origin in the desert, research into their provenance and geo-locations illustrating how close illegal dumping may be to your homes, schools and places of work or worship. 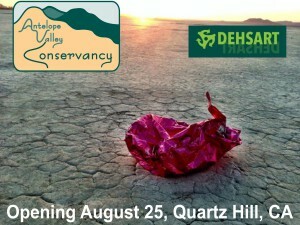 The exhibit will provide tools to report or recycle your own discarded discoveries in an effort to keep our desert clean. This exhibit is part of MaidenLA, a decentralized county-wide network of ‘happenings’ throughout the month of August, is a way to assemble and connect Los Angeles artists, curators, performers, collectives, organizations, etc., to host open studios, group shows, or self-initiated projects in both traditional and unconventional spaces. Open these Saturdays: September 8, September 22 (Artist Talk with Karyl Newman), October 6, October 20 (Artist Talk with Karyl Newman). Visit MaidenLA to explore the map of all the August activities in Los Angeles County. ANTELOPE VALLEY CONSERVANCY’S MISSION is the acquisition and stewardship of native habitats, watershed resources, and lands that offer community value. Our mission acknowledges future generations’ interests in land that maintains community character, ecological function, and scenic beauty, as well as the right of nature to retain territory, particularly functional habitats and connectivity.